Motor vehicles entering Chicopee Woods Area Park (Park or CWAP) require a valid parking pass ($5 Daily or $50 Annual) with a soft opening in December, 2017 and a hard opening January 2, 2018. Visitors may purchase day or annual parking passes upon arrival at the Park: from the Parking Station, staffed with parking security personnel, that is located at the Park entrance on A-Avenue/Elachee Drive; or a day pass at one of the self-serve parking pass boxes in designated parking areas. Net proceeds will be used to provide enhanced security. Click HERE for facts, rules and guidelines. Q: Why is there a parking fee? There has never been one before. 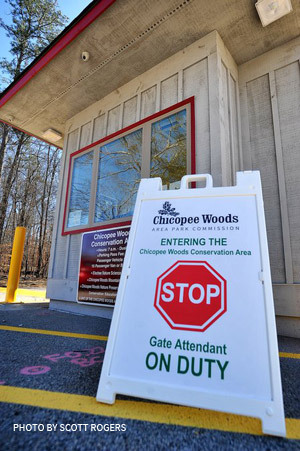 A: As the public’s visitation and utilization of the Chicopee Woods Nature Preserve and Bike Trails increase, the Chicopee Woods Area Park Commission recognized that enhanced oversight and security presence in the parking areas of Chicopee Woods Area Park will benefit all who enjoy the park. Q: Who is charging this fee? A: The Chicopee Woods Area Park Commission is charging the fee, and has authorized Elachee to collect the fee on behalf of the Commission. Neither SORBA nor Elachee receives the fee directly. Q. What will the fee be used for? A: Proceeds of the parking fees will be used for costs associated with maintaining, operating, and staffing the parking station, parking fee collection boxes, installing related signage, and the costs of hiring any law enforcement or security personnel, parking area trash pickup and portable bathroom upkeep. Q: Who pays for the maintenance of the trails? A: CWAPC and NE GA SORBA rely solely on donations and grants to maintain, and expand the trail system. NO TAX REVENUE from the City of Gainesville, Hall County or the State is directed to the Park for operations. 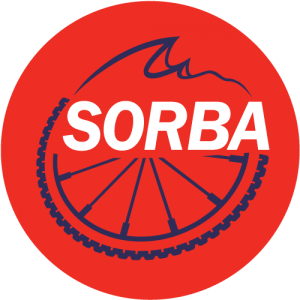 The Park and its partners (SORBA) must raise funds to meet the needs of the bike trail system. Please leave donations at the box at the trail head! Donation boxes will remain at the trailheads for the purpose of collecting funds for bike trail maintenance. NE GA SORBA can create fund raisers for bike trail maintenance. Q: If I work on the bike trail as a volunteer, do I get to park at a discount or for free? A: Yes. Volunteers for ENSC or SORBA will receive a free annual parking pass after working a total of 16 hours or more. 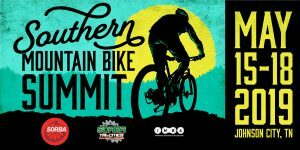 Q: Are mountain bikers being singled out to pay higher parking fees than other users? A: No. All users entering the park by motor vehicle will be subject to the fee.